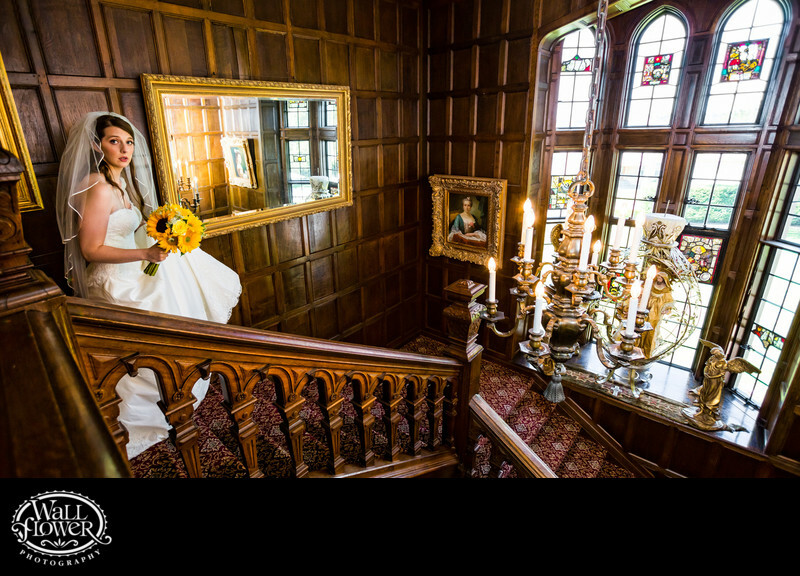 Pre-wedding jitters are written all over this bride's face as she descends the master staircase at Thornewood Castle in Lakewood, Washington, near Tacoma. This photo was taken just after she left her room in the Presidential Suite to head to her wedding ceremony in the sunken garden, where the groom waited. This staircase was hand-hewn from 500-year-old ancient English oak and is held together by wood dowels — seriously!